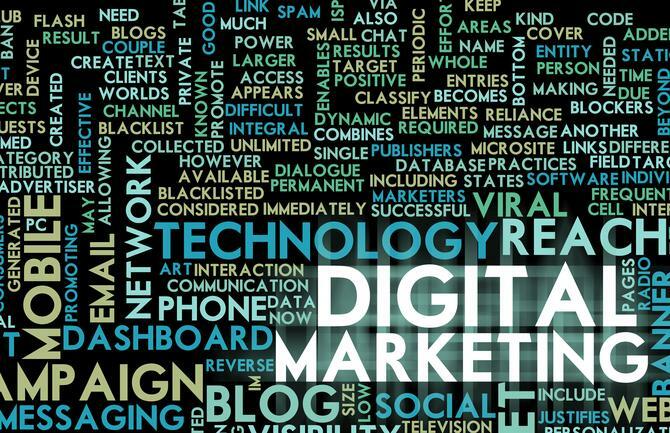 Real Story Group analyst Theresa Regli busts the most common myths marketing technology vendors tell customers and prospects, and other martech experts share insight on how marketing pros can navigate the dynamic digital landscape. When shopping for marketing technology (martech) software, should you believe everything the vendors say? That depends on the merchant, the product category and a number of other important factors, according to Scott Brinker, editor of the chiefmartec.com blog and program chair for the March 2016 MarTech USA conference in San Francisco. Miscommunications and misguided customer expectations are inevitable in an industry that's growing so rapidly. Just five years ago, fewer than 150 martech software products were available, according to Brinker, who presented new research on the martech vendor landscape at the recent MarTech USA event. Today, about 3,874 martech products exist, Brinker said, and many marketers are trying to keep up with the rapid rate of change of the available tools. Of course, it's not uncommon for martech vendors to overpromise on what their software can do, according to Martin Kihn, a Gartner research vice president who's focused on data-driven marketing and advertising technology. "If you listen to pitches from any merchant, they generally promise to be all things to all people and to solve every problem," Kihn tells CIO.com. In an overheated market such as martech, there's a lot of pressure on sales professionals to sign clients as quickly as possible, he says. "So it's a rare and refreshing vendor that will tell you what they don't do." In fact, the disconnect between what martech vendors actually offer and what they tell prospects was the subject of a MarTech USA session. Theresa Regli, principal analyst and managing partner with Real Story Group, presented what she said are the top 10 "myths" martech merchants tell prospects and customers, along with the realities behind them. Large martech vendors often want to sell big suites of digital marketing software tools. However, in some cases, these suites include tools that are a result of a merchant's acquisition of smaller companies, according to Regli. As a result, the myriad tools are "often poorly connected" and you must spend time trying to integrate them. "A fully integrated marketing platform is as mythical as the Himalayan Yeti," Regli said at the conference, adding that potential customers should be skeptical of such claims and ask if any of the tools in the vendors' suites were recently acquired. Some martech sales people try to make prospects or customers feel as though they're behind the technology adoption curve. The reality? "It's still the early days of martech," Regli said, citing Real Story Group research that suggests 52 to 54 percent of enterprises are still in the "just starting" phase of digital marketing adoption. Marketers are particularly slow to address mobile opportunities, according to Regli. For example, Real Story Group's research shows that only 25 percent of enterprises say their mobile marketing initiatives are "reasonably mature" and 26 percent say mobile marketing isn't on their radar at all, she said. Most martech vendors are only two to three years old, Regli said, so their software tools aren't as mature as they might lead you to believe. That means the tools won't always meet all of a marketing team's needs, which can lead to bad purchasing decisions. According to Real Story Group, fewer than half (47 percent) of the enterprises surveyed said they have the right software tools to meet their marketing needs. The other half may end up buying more martech tools or capabilities than they actually need in attempts to meet those marketing requirements, according to Regli. Enterprise marketing and IT teams should not "buy the Ferrari when they only need a Hyundai or a bike," she said. Software-as-a-Service (SaaS) martech tools in the cloud aren't necessarily quick and easy todeploy, Regli said. She emphasized the need to build your martech toolset, or "stack," as a bartender might mix a fine cocktail. Take the time to "craft, taste, test, and find the right balance between the different elements," including marketing automation, social engagement, CRM, and other tools, Regli said. And don't assume cloud-based services can be added to your martech stack in no time at all. Martech software services are often "complex applications," Regli said. Many marketers are trained in marketing and communications — not in technology and data science. As a result, only 49 percent of the enterprises surveyed by Real Story Group said they have sufficient internal martech expertise, according to Regli. "Don't ever think you won't need training" to use a new software tool or platform, Regli said, and then added that it's important for marketers to understand the purpose of new tools, as well as how they meets their teams' goals. Real Story Group works with a number of global enterprise clients, "[a]nd the biggest problem they report with martech tools is that they can't easily scale them globally," Regli said. Some vendors aren't at all clear on this challenge. "If you have millions of campaigns running across the globe, you will run into problems," such as the ability to deliver video in multiple formats and languages and to scale internal servers, according to Regli. She said it's a good idea to ask potential martech merchants for examples of customers who easily scaled their marketing efforts globally and suggested "most vendors" won't be able to provide any. Martech vendors may offer you one or two case studies of customers who use and gleefully endorse their products. The reality is, however, overall customer satisfaction with martech software is only about 5.8 on a scale of 1 (not satisfied) to 10 (very satisfied), according to Real Story Group research. To help improve martech software satisfaction, "try to sit on the vendor's customer advisory board," Regli said, because such boards often drive the future course of improvements, enhancements and new features. Martech merchants sometimes suggest that customers or prospects store all marketing data in their systems as a way to simplify, according Regli. However, she recommends decoupling data from content and customer engagement management systems and not signing over all data to one vendor. Instead, marketing pros should opt for a universal "enterprise data foundation that can be used by different engagement systems," such as social engagement, and Web content and customer experience management systems, Regli said, "because different systems will need to use data in different ways." Some marketing automation vendors want customers to put all product images and other digital media assets into their systems, to consolidate and simplify. But content production and marketing content are still different market segments, according to Regli. Digital asset management (DAM) systems do many things that marketing automation tools don't, such as render and transform assets; embed metadata in files; manage asset lifecycles; and let users edit media on the fly, she said. Letting customer engagement systems pull content from DAM systems is a better strategy, according to Regli. Sentiment analysis, including the interpretation of tweets, Facebook posts and other social media updates to be positive, negative, or neutral, is still difficult for machines, according to Regli. For example, Real Story Group posted a negative tweet about Microsoft SharePoint, but one martech tool's interpreted the tweet to be negative against Real Story Group and not SharePoint, she said. Marketers should not trust sentiment analysis tools because they don't currently "understand the nuances of human emotion," according to Regli. "There's still a lot that needs to happen for sentiment analysis to be reliably accurate." Regardless of what martech vendors say or don't say during the sales cycle, modern marketing organizations must learn to be agile if they want to take full advantage of the tools they buy. Agile marketing is a practice modeled on agile software development, with the goal of improving the speed and adaptability of an enterprise's marketing function. "Digital is a huge part of marketing today, and it demands agile measurement and management," said Shubu Mitra, director of connection planning effectiveness and productivity for Coca Cola, in another MarTech conference session. An agile foundation can help marketing organizations better understand and benefit from the rapidly growing martech product landscape, according to chiefmartec.com's Brinker. However, it's up to marketing teams to figure out how to reorganize themselves around martech tools and agile frameworks. Most vendors offer some level of customer education on how to use their tools, Brinker says, but they aren't typically prepared to provide consulting services for how marketing departments can reorganize to receive maximum impact from the software.